Gertrude Stein once said, "Remarks are not literature," and I would add, opinion is not criticism. The best movies of 2012, those I believe possess genuine merit for a number of reasons, not coincidentally, are also the ones I personally liked — a fusion, I hope, of personal judgment and objective analysis. The brevity of the list results in part from the fact that most of the time, despite the reviewers' romance with those dreadful "10 Best" lists, there simply are not 10 "best" films, whatever that may mean. Readers who believe that a review, like most reviews, should simply praise the product, concluding with the easy shorthand of stars, numbers, letter grades, or smiley faces, and consequently think that I write too harshly of films, often ask me what kind of movies I like. Well, I like good movies, whether thrillers, horror flicks, gangster films, Westerns, "serious" dramas, or documentaries about the bumper alfalfa harvest on the banks of the Riga, narrated in the original Finno-Ugric. Not surprisingly, the cinema of 2012 consists of a mixed bag, a cornucopia of titles that trace the usual trajectory, with some excellent works, a number of lousy ones, and a vast middle area, with its own wide array from almost bad to almost good and everything in between. Two of the best movies of the year, though quite opposite in style and substance, involve some form of international intrigue, and both reflect in their own ways the heritage of the Cold War, demonstrating two distinctive approaches. 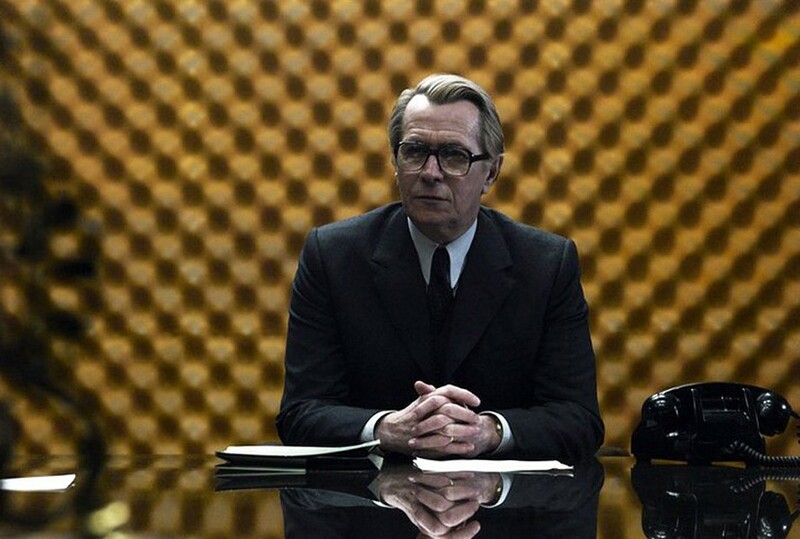 "Tinker, Tailor, Soldier, Spy," based on John le Carré's novel, examines the methods and motives of betrayal — of a nation, a cause, a relationship — in a complex film that moves through layers of introspection and silence. Much simpler, the James Bond blockbuster "Skyfall" owes its origin to the same era as "Tinker, Tailor," but launches its action with the familiar series of explosions, pursuits, stunts, and spectacular location shooting, a wildly different and totally incredible version of British intelligence work. Even though its conclusion was a matter of public record, another Cold War thriller, "Argo," a fantastic story paradoxically based on actual events, maintained a remarkable level of tension and excitement; the sheer process of the daring rescue of some of the Iranian hostages in 1980 made for surprisingly compelling viewing and some instructive history. "Argo" also featured some terrific performances from its supporting cast, notably Alan Arkin and John Goodman. Although it did not achieve the critical and financial success it deserved, "The Cabin in the Woods" broke new ground in horror, basing its superficially simple story on a witty, complicated puzzle and providing a remarkable anthology of the genre along the way. It really should become a classic text in contemporary horror, up on the top shelf with "Nosferatu," "Psycho," "Night of the Living Dead," and "I Dismember Mama" (just kidding on the last one). The usual end-of-the-year flood of Oscar hopefuls produced two important movies, both of them, coincidentally, set in the 19th century. Because of its significance, the historical accuracy of its subject, and the enduring timeliness of its protagonist and his cause, "Lincoln" will no doubt contend for a batch of awards, deserving just about every nomination, especially Tommy Lee Jones for his bravura performance as a dedicated Abolitionist. It matches its dark cinematography with a consistent underplaying, providing an impressive atmosphere of authenticity. Quite the opposite in its lush stylization, sometimes bordering on affectation, the 28th visualization of Tolstoy's great "Anna Karenina" is surely the most beautiful adaptation of that novel and perhaps the most beautiful film of the year. The movie captures some of its epic sweep, its cultural context, and its romantic story of a grand passion, a doomed love, and a tragic consequence. It will also certainly win a number of nominations, especially for its unusual sets and brilliant cinematography. Finally and sadly, possibly the most ambitious movies of the year also proved most disappointing. Despite grand visions, elaborate sets, and daringly unusual concepts, neither "Prometheus" nor "Cloud Atlas" fulfilled the promise of their original premises, or even of their trailers, another instance of the distance between dream and reality, both the challenge and the joy of the cinema.